Big changes have been impacting Facebook advertising and will leave a lot of advertisers left to rethink their targeting strategy. Following the Cambridge Analytica scandal, Facebook has separated from their third-party brokers or Partner Categories such as Acxiom, Epsilon, Experian, TransUnion, and Oracle. Very recently, Mark Zuckerberg and his team revealed that Facebook’s newsfeed will be changing in some pretty major ways. He explained that the overarching new direction he was giving his product team was to shift away from focusing on helping users find relevant content to helping them have more meaningful social interactions. Earlier this year, Google announced that it will increase web security and provide better information for users by indicating http sites as non-secure, and giving higher search engine rankings to https sites. As consumers conduct more and more of their personal and financial lives online every year, and as hackers become more savvy in accessing this data, extra security features give consumers and businesses the ability to protect their data out on the web. But what does this mean for your business’s digital marketing strategy? Advertisements are entering every form of social media these days. Intruding the user experience and becoming a nuisance for users to shift through. 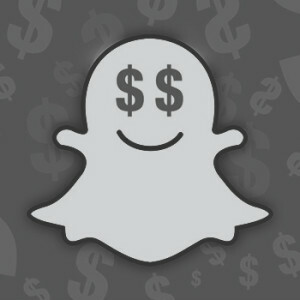 It started with Facebook, and now Snapchat will too be adding advertisements and money transactions into their app service. By now, we have all started to see the power of Facebook’s Open Graph take shape in the online community both on and off of Facebook. By enhancing digital experiences with social and personalized information, Facebook has helped shape the direction for the web’s future. Today’s announcement from Facebook was yet another large stride for the social media mecca by revealing plans to integrate it’s Open Graph network into the on-site search field for what is being called Facebook’s Graph Search. As some of you may know from reading my introductory blog a few months back, I just moved to Scottsdale from Rockland, NY, a county 10 miles north of Manhattan in the Lower Hudson River Valley. And as I’m sure all of you know, the northeast was hit extremely hard by the monstrosity of a storm fitting for a time around Halloween, Hurricane Sandy. I have around 30-40 family members that live in the same area and it has been hard to contact them since the storm has passed, but social media has saved me, along with millions of others and maybe even yourself, from some worry. Facebook Twitter Debate 2012: Who has your vote? Is it no longer enough to capture political debates through traditional print and media? Last night, Thursday, September 6, 2012, Barack Obama dropped a tweet that would shatter the record on twitter about political speeches – 52,000 tweets PER MINUTE: “@BarackObama [10:14pm] “If you’re willing to stand with me, and vote for me, & organize with me, we will finish what we started”. Let’s go back in time to the 2008 election. The presidential debate brought in about 1.8 million tweets in 2008– a fraction compared to 2012. To put this into perspective, Twitter servers see that amount of tweets every 60 minutes. Facebook was obsolete in the way it is used today to leverage votes by candidates. It was merely a tool for college students to find the new cool bar in town. Today it is now the debate arena of over 950 million people who log on and actively post. With the 2012 Election drawing near, social media is where users are going to discuss last minute topics, learn about any updates and see what their peers' views are. So some social media platforms are making adjustments and creating new features that bring attention to themselves during this election process. Foursquare seems to lead the pack with the best app. Facebook is the obvious leader when it comes to interaction with others, being the page that everyone goes to discuss topics after every debate or news conference, to the point where it can get old. But they’re lacking a helpful app about statistics for each state, important information to consider for your state when you vote and where your voting locations are. Thanks to Foursquare and Google, social media is encouraging people to vote and making it easier. Similar to an Olympic athlete, entrepreneurs and business owners need to have an athlete-tough attitude to be at the top of their game. To be the best in the world at what you do, or to grow a business to that level requires a tremendous amount of commitment, perseverance, and confidence.Here are five lessons from some of the London 2012 Olympic Greats, and also from those that just missed the mark.